Is the most commonly known and appreciated variety. It is traditionally recommended for deep chest respiratory infections because of its expectorant properties especially with symptoms of white mucous and white coating on the tongue. Also may be useful in massage for muscles aches and in skin care for irritation and burns. 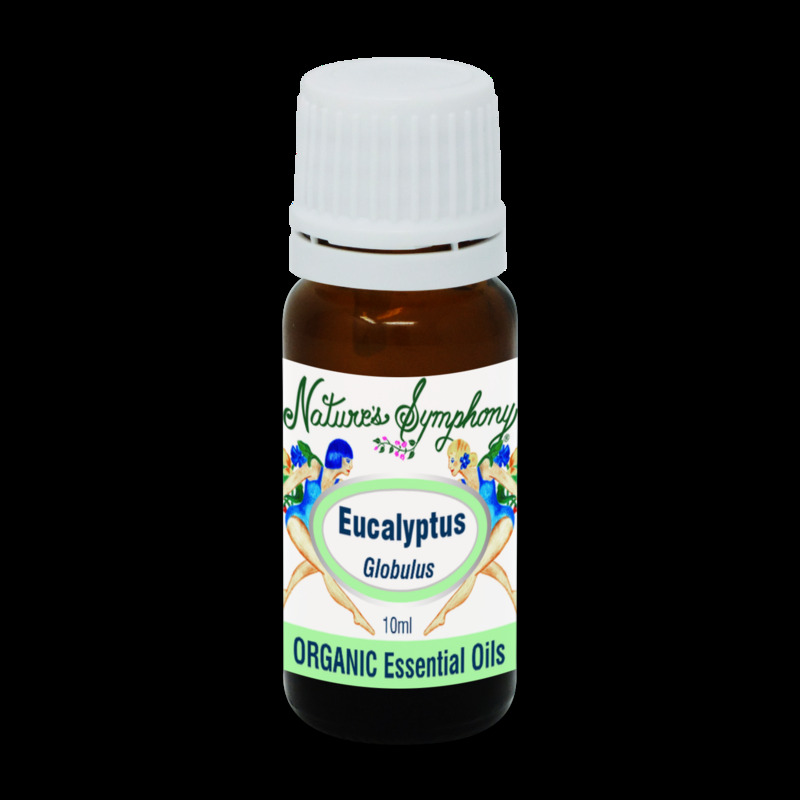 Eucalyptus globulus (not to be confused with eucalyptus radiata or eucalyptus polybractea or any other of the 300 or so eucalyptus species), has a fresh, penetrating scent. It comes from the Myrtaceae (myrtle) botanical family and is native to Tasmania and southeastern Australia and Brazil. It is also known as the Tasmanian Blue Gum, Southern Blue Gum or Blue Gum Eucalyptus (Bluegum eucalyptus) evergreen tree. BODY - muscular pain, poor circulation, asthma, colds with white coating on the tongue and white mucous, cough, sinusuitis, herpes, skin, lice, dandruff. MIND - stimulating, clears head, improves concentration, headaches, emotional overload.